RICS has today announced the inauguration of its new president, Alan Collett succeeding See Lian Ong as the 131st President of the institution. The organisation’s first inauguration to take place outside the UK also sees Michael Newey take office as President Elect, while Louise Brooke Smith becomes the institution’s first female Senior Vice President. Held in Dublin, the ceremony also sees the appointment of Robert Mayhew as Vice President, while Martin Brühl and Chris Fossick will continue in their roles. Bill Gater continues as RICS Honorary Treasurer and Rob Mahoney continues in his role of RICS Honorary Secretary. Elections for the new presidential team were held at the RICS Governing Council Meeting in March. The successful candidates will now set about leading the development of the organisation’s vision and strategy, along with the RICS Governing Council. 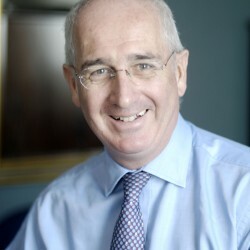 Consultant to Allsop LLP and a number of investment funds, Alan is also Chairman of Allsop Residential Investment Management, having joined Allsop & Co from the College of Estate Management in 1972. He was a Senior Partner from 1996-2006. Alan has worked in private practice, dealing with residential and mixed use investment, valuation, development and agency and has also acted as a Fixed Charge Receiver and Expert Witness. Alan is also Director at Consortium Investment Management Ltd; Honorary Fellow and member of the board at the College of Estate Management; Member of Securities Institute and Investment Property Forum; Vice Chairman of BPF Residential Committee and a past member of the RICS Communication Board. Allsop is an independent property consultancy with a market-leading reputation for high quality service, integrity and innovation. We are also well known as the UK’s largest and most successful auction house. Our success is built on over 100 years’ experience in commercial and residential property consultancy and sales.